The Black Empowerment Foundation (BEF) on Tuesday welcomed President Jacob Zuma's Cabinet reshuffle and said it had full confidence in the new ministers. 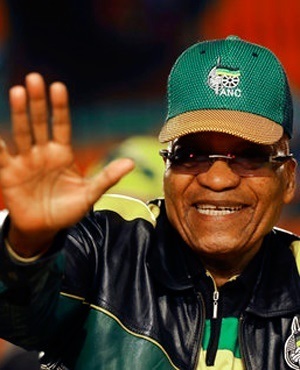 On Tuesday, Zuma reshuffled his Cabinet for the second time in seven months. While most of the reshuffling involved moving ministers between portfolios, Higher Education and Training Minister Blade Nzimande was axed from the Cabinet. Nzimande was replaced by former Home Affairs Minister Hlengiwe Mkhize. "We have confidence in the members who have over the past years demonstrated their commitment to ensure solid service delivery," said BEF spokesperson Zola Qoboshiyane. "The comrades who have been assigned new responsibilities have always worked within the collective and have displayed impeccable integrity. "We have no doubt that their deployment will strengthen the national Cabinet and ensure that the ANC, as the ruling party, meets its objectives of the transformation of society." The foundation said the deployment of Mkhize and Buti Manamela as minister of higher education and deputy minister, respectively, would usher in a new era in the education sector. "While as the BEF we have the utmost respect for Dr Blade Nzimande, we, however, believe that he was pulling in the wrong direction. He invested so much energy in discrediting the president of the Republic of South Africa, Jacob Zuma, instead of dealing with complex challenges facing students. "The higher education sector remains untransformed, with an unacceptable mismatch between skills produced by institutions of higher learning with what is required by industry and what is needed to grow the economy of the country. The mismanagement of funds by SETAs (sector education and training authorities) happened under Nzimande's watch. The [less] said about him, the better," said Qoboshiyane. The foundation also said it was pleased with the deployment of Mmamoloko Kubayi as minister of communications. "We are confident that the new minister will ensure that the national broadcaster is at the forefront of the restoration of African human values and the promotion of social cohesion." Qoboshiyane said under Ayanda Dlodlo, the former minister of communication, the Department of Home Affairs was in capable hands. "We are confident that the new minister will also help transform our international migration policy to ensure, in particular, that we strengthen the solidarity among African people," Qoboshiyane said.